Families with members in the prison system are already struggling. Having the phone company join into a partnership with prisons to take advantage of them is wrong. I was in prison twice between 2003 and 2008. I limited phone calls home to once a week and only one 20 minute call because the calls cost fifteen dollars apiece. Even this strict schedule was a hardship on my family. Sixty dollars a month is a lot for a family on a fixed income. I still have a phone bill of $400 from 2006. The mother of my children was in jail and I allowed her to call my phone to talk to the children. I was familiar with the phone policies and decided it was better to let the kids talk to their mother until they turned the phone off than to prevent contact. There is no reason phone companies and prisons should join to take advantage of people that are already struggling. 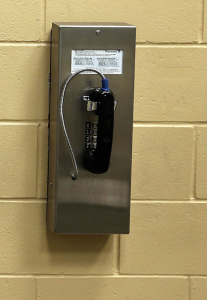 Phone rates should be the same for prisoners as they are for anybody else.